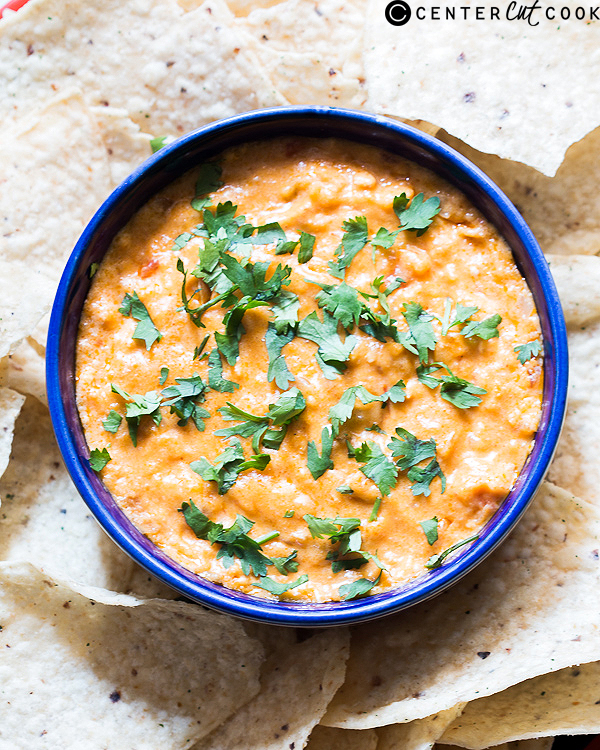 A homemade version of the popular Queso Dip, which is spicy, cheesy and a perfect companion to those nachos and fries! This gaming season we’ve decided to be well stocked and armed with our favorite game day recipes. 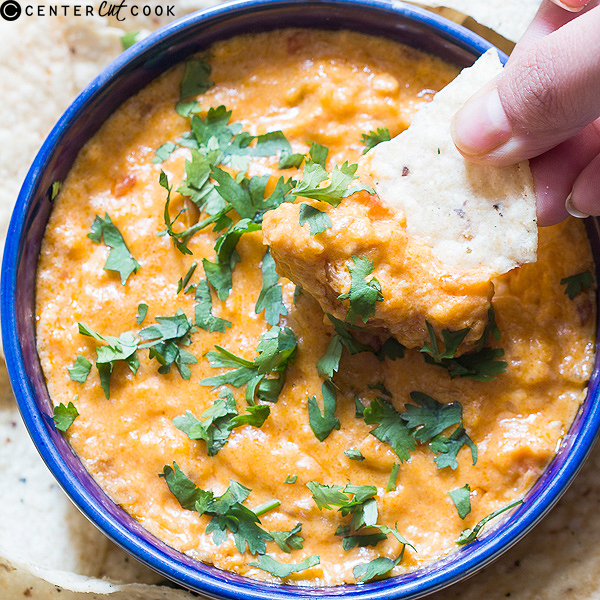 I’m particularly referring to this spicy, cheesy queso dip which tastes just like Chili’s version but with way more flavor and disappears the fastest. I like to add some ground beef to make it more substantial and to make it taste like actual chili. We usually host at least a couple of parties and this dip is seriously addictive – is what we’ve been told by all our hungry friends! I’m not a big fan of processed cheese so this is minus the Velveeta but trust me, once you try it, you are not going to want to make it any other way. This dip is definitely a crowd pleaser and perfect with all the unhealthy fried stuff that you absolutely need to binge on, on weekends. You could make this in the crockpot, but this stovetop version is really easy too. It’s an easy, no-fuss recipe that you will end up making again and again! In a pan, heat oil and add garlic, onions and jalapenos. Saute for two to three minutes and add ground beef. Cook till the beef is golden brown, add salsa and taco seasoning. While the beef is simmering, melt butter in another pan on a low flame and add flour. Stir to form a paste. Cook for 30 seconds or so. Start pouring milk in a stream while whisking the flour continuously to avoid any lumps. The sauce should start thickening up gradually. Once the sauce is thick enough to coat the back of a spoon, add shredded cheese and mix till the cheese melts. Pour the cheese sauce in the beef mixture and mix well. Add chopped cilantro to the dip and mix. Transfer to a mini slow cooker if using later, or transfer to a serving bowl for immediate use. You could also refrigerate this for a day or so, and simmer just before serving.